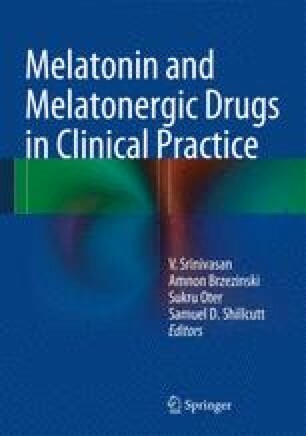 Numerous physiological actions of melatonin are mediated by two G-protein-coupled MT1 and MT2 receptors. The melatonergic drugs on the market, ramelteon and agomelatine, as well as the most advanced melatonergic ligands under clinical evaluation, tasimelteon and TIK-301, are high-affinity nonselective MT1 and MT2 agonists. However, exploring the exact physiological role of the MT1 and MT2 melatonin receptors requires subtype-selective MT1 and MT2 ligands. This chapter summarizes the progress in the development of melatonergic agonists and antagonists focusing on high-affinity and subtype-selective agents.